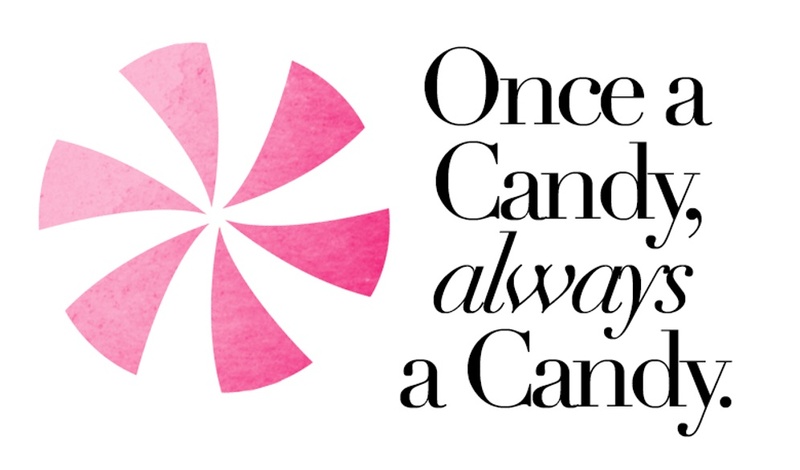 What do Jackie O, Sophia Loren, John Lennon, Kate Moss, and Sarah Jessica Parker all have in common? 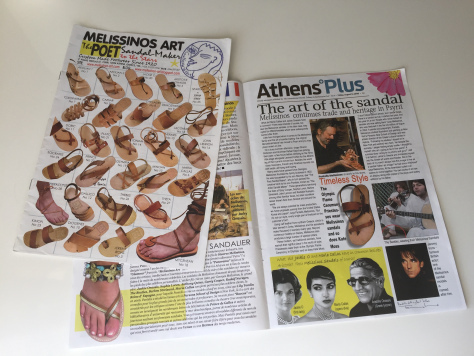 They went and bought a pair of Melissinos sandals in Athens! 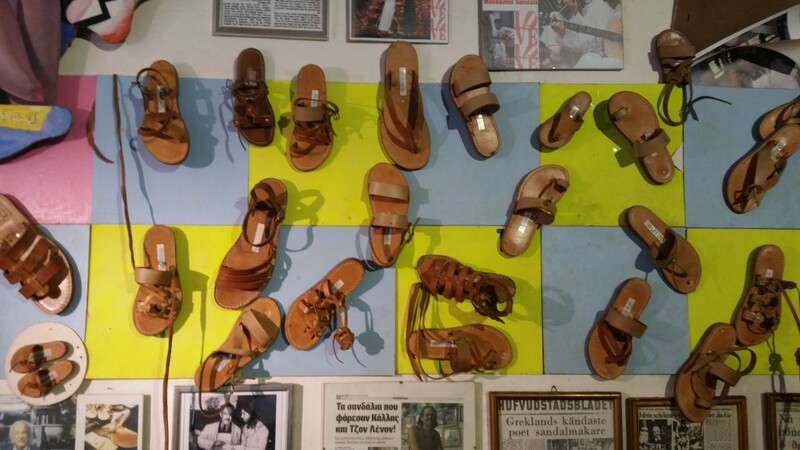 If you walk down the small streets of Psyrri in central Athens, you will come across a leather sandal shop on Agias Theklas Street near the Monastiraki metro station. 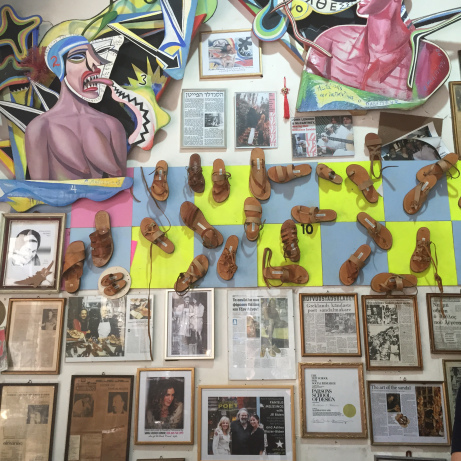 The shop initially looks like an overstuffed space with hanging sandals, leather straps, artwork, and poetry covering the walls and ceilings. However, you will see tourists snapping pictures of the outside and people waiting to get their foot in the door. 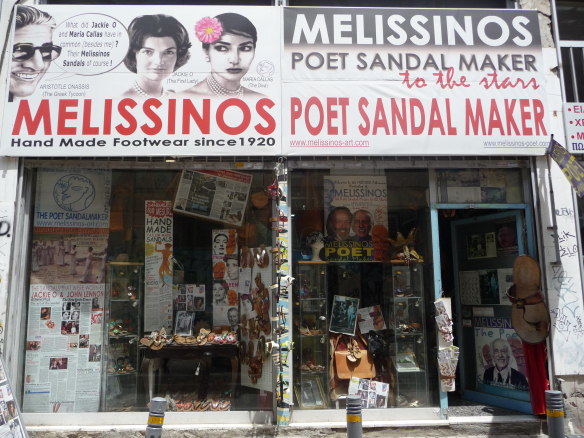 Melissinos Sandal Shop is a speciality sandal store founded in 1920. The shop was founded by Georgios Melissinos, he passed the trade down to his son Stavros, who, along with being a shoe maker also wrote poetry. 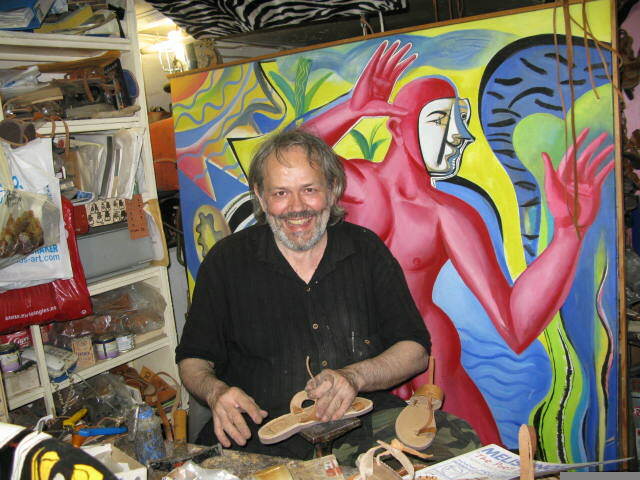 Stavros then then passed it down to his son Pantelis who studied at Parsons School of Design in New York. 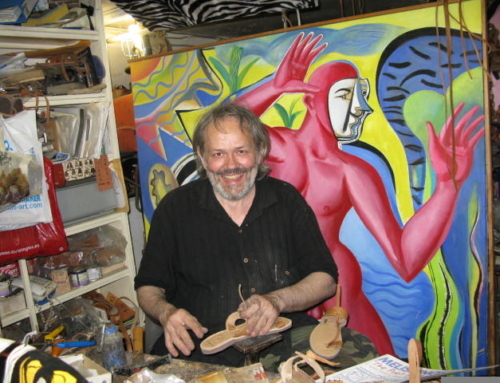 Both the artwork of Stavros and Pantelis decorate the shop today. 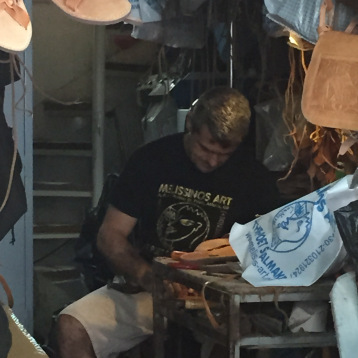 Pantelis is the 3rd generation sandal maker in the family and he has surely kept up the quality and prestige of the family business. He has been featured in US Vogue, French Glamour, Elle, and Italy’s Panorama magazine. 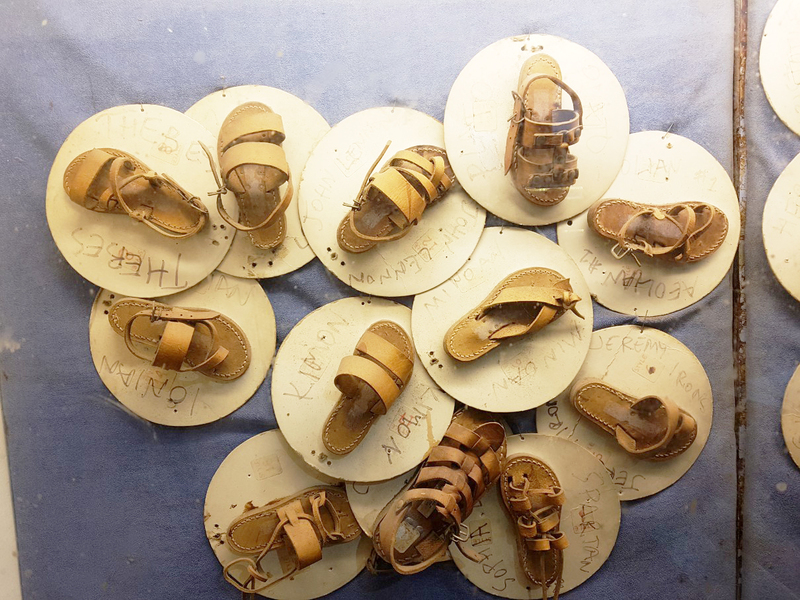 There are 28 different style sandals to choose from (all sandals are unisex), each has a name and a number. 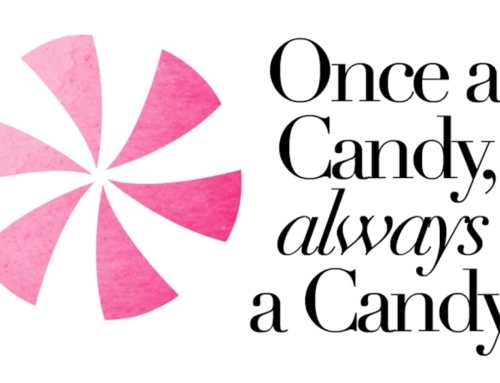 Most are named after ancient Greek gods or cultures, others however, have the name of the celebrity who bought them. For instance, the ‘Spartan’ is also named Sophia Loren, or No. 25. Once you choose a style, the shop assistant will make you try it on and then they will customise it to your foot. 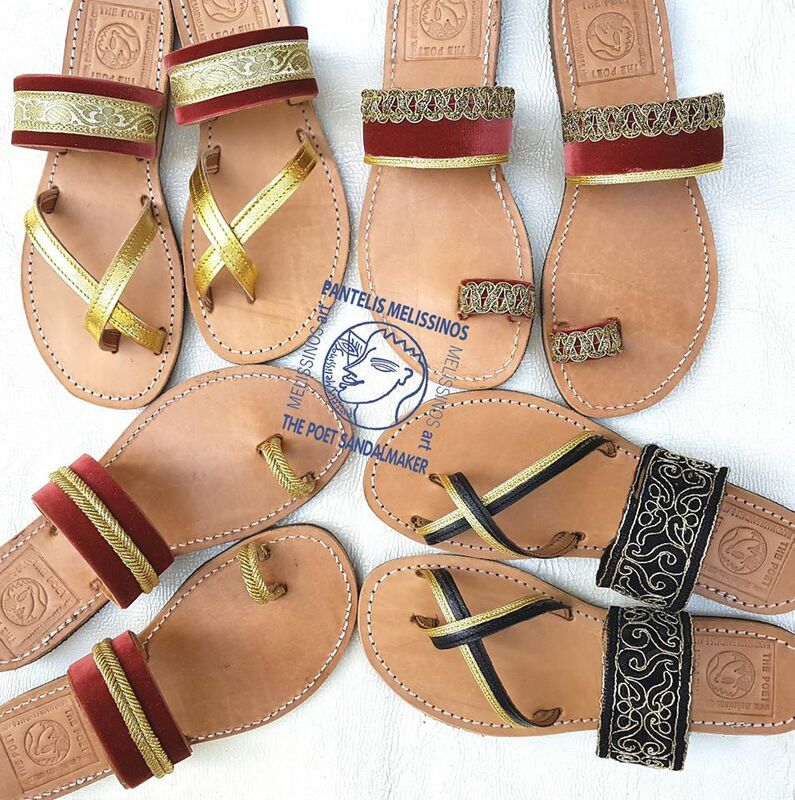 The assistant will mark the straps where they think they should be looser or tighter, and then they will take apart the sandal and rework it according to your measurements. 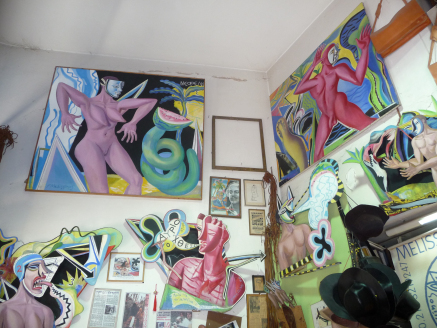 This process only takes about 10 minutes at which point you can look around and browse the artwork around the store. 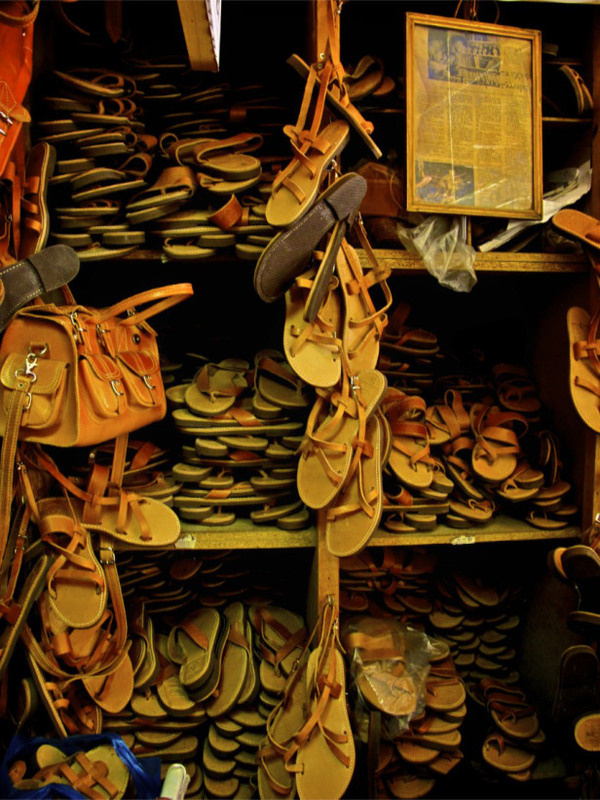 When the tailoring is done, they will ask you to try on the sandal again and walk around. If there is anything you don’t like or, the assistant feels is not right based on how it looks, they will take the sandal back and tailor it again. 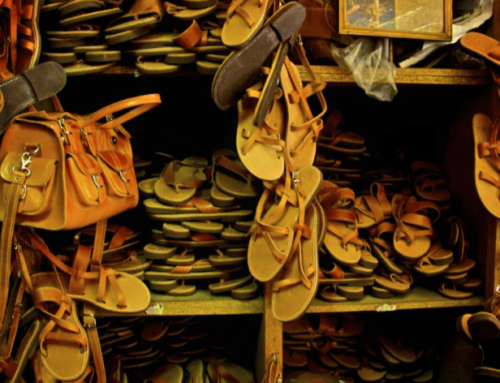 Once you are happy with your sandal and fit, the assistant will give you some aftercare advice. You will apply clear nail varnish on the nails used to hold the straps in place, you will rub your sandals with olive oil if you want the leather to get darker faster, and you will not wear them for 24 hours after you leave the store. 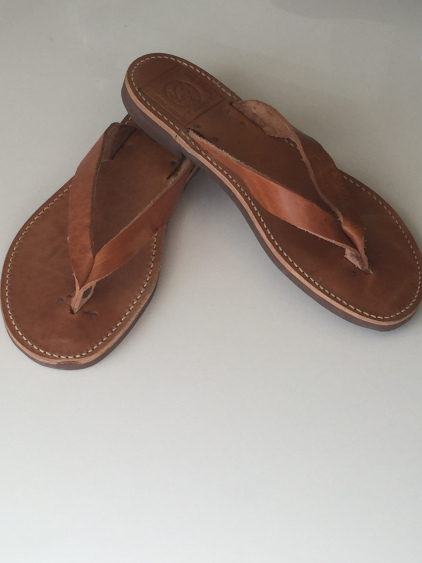 This allows the sandal to ‘set’ from the tailoring in a proper way. I have the ‘Prince’ style which is also what Sarah Jessica Parker has. The most popular pair is the Cleopatra or No. 7. 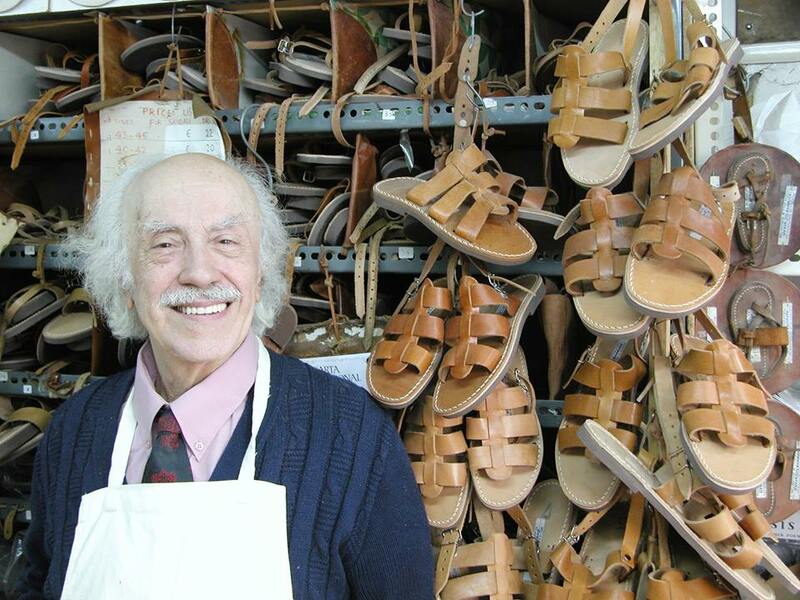 They are truly the most comfortable leather sandals I have ever worn. 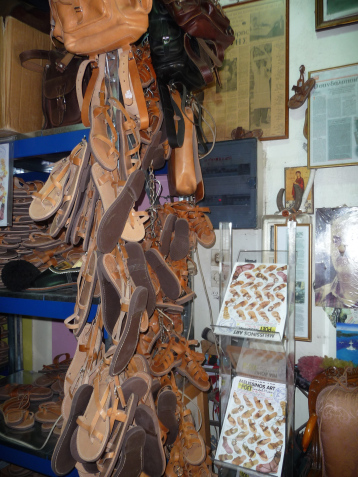 The leather is sourced from calves in Northern Greece which is then tanned in Crete. 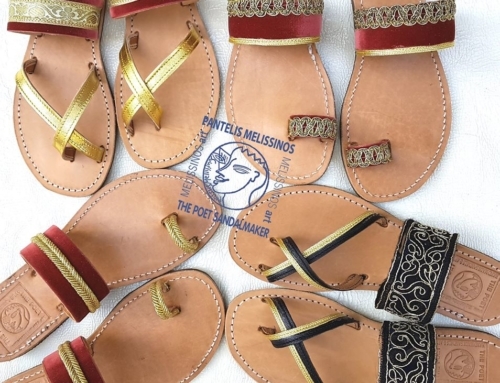 Melissinos sandals are not mass produced and you will not find them anywhere but the main shop in Psyrri. If you are looking for a truly Greek product, this is it!